I was on the Best Buy Canada website today and came across their Gears of War 2 page that is advertising all Best Buy stores across Canada (Quebec excluded) will be open at midnight for the launch of the game. If you are one of the dedicated gamers to wait in line for the midnight openings, you will have the opportunity to get some free swag and win prizes. At the Edmonton South and Toronto's Bay and Dundas locations one lucky winner will have the chance to win a life-size model Lancer. 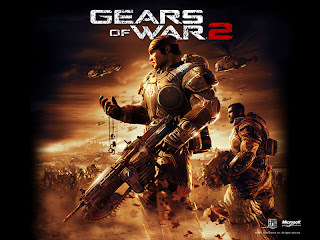 For more details, visit the Best Buy Canada Gears of War 2 page. I might have to go to this. The one for GTA4 was great. There's some unwritten rule about them always happening on a really cold night though!